Last year, the same extravagant privilege of having lunch with Warren Buffett (the 2ND richest man in the world) had a $2.1 Million price tag. It is yet another sign of the recession. The online eBay auction took place last night. The proceed of the auction will go to the Glide Foundation, a charity organization based in San Francisco dedicated to provide social services to homeless people. 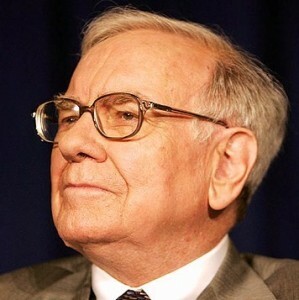 The unidentified winner will be able to take up to seven friends to have lunch with Buffett in a New-York steak house. Warren Buffett’s company had its worst year in 2008 since about 8 years, and saw its stock decline sharply. However, the financier was one of the only top financiers, world wide, to see the global financial meltdown coming & warned investors about the danger of derivatives (AKA toxic assets). A couple of years ago, Buffett called the exotic financial derivatives ” Financial weapons of mass destruction“. We found out that he was accurate in his forecast. July 10, 2009 Is The First Stimulus Package “Half a Viagra & a Bunch of Candy”? March 27, 2011 Is A Just And Sustainable Global Governance Possible?